Accessing your home router from inside the network is easy. Simply type in your router’s IP address (usually 192.168.1.1 or 192.168.0.1) in the web browser. Sign in on the web portal with the login credentials. And that’s it. But, how about accessing your router remotely? Now, before we come to that, let’s take a look at some of the reason, why you may want to do so. You want to check if the kids at home are playing games on their computer, instead of doing their homework. Why not use remote desktop apps like TeamViewer? While you can also access your router with apps like TeamViewer, you need to keep the computer turned on at your home all the time. This is not practical if you are off on a trip for more than a couple of days. But routers are always ON whether you are at home or not. And on top of that, you don’t have to install any additional software. All you need is a web browser and you can access your router from any part of the world. When you want to access your router from inside the network; all you have to do is type in the router’s IP address in the web browser. Similarly, to access your router from outside, you need to type in your public IP address followed by remote control port no i.e. 8080. So, if your public IP address is 74.12.168.14, then you’ll have to type 74.12.168.14:8080 on the web browser. 1. As a part of security measure, every router, by default has this remote management feature turn Off. So, you have to enable it manually on the router. 2. Most home users are assigned a dynamic IP address, which means, every time you restart your router, your public IP changes. So, we need to figure out a way to bypass the dynamic IP address problem. And for that, we’ll use services like Dynamic DNS. So it’s a 2-step solution and let’s see how to do it. Turning on remote sharing on the router is easy. All you need to do is type the router IP or default gateway address in the web browser. Next, enter your username and password. Now, once you are in the router’s web portal, look for the Remote Management option. Some routers called it Remote Access and it’s usually found under Advanced Settings. Once you see the remote management option, enable it. Later, click on Save and then Apply Changes for settings to take effect. Now since you are sharing your router web portal remotely, it’s a good security practice to change your default port no. from 8080 to something else. Also, make sure you don’t use default login credentials. Change it to something complex else anyone can log in to your network with a brute force attack. Now since our public IP address is dynamic, it’ll change every day. So let’s fix it by settings up Dynamic DNS. But before that, you need to understand what Dynamic DNS or DDNS actually is. Let’s take this analogy. If I change my postal address frequently, I won’t receive my letters on time. Right? So, instead of giving my address to everyone, I’ll give them my friend’s fixed address. Now, my friend will receive all my mail and I am going to keep him updated with my latest address. So, now he can easily forward the mail to me. So, this Dynamic DNS is similar to a friend in the middle. When you sign up with their service, you have to link your dynamic public IP to a domain name. And you can use that fixed domain name instead of your public IP. And they will do the job of updating your IP address in the background. 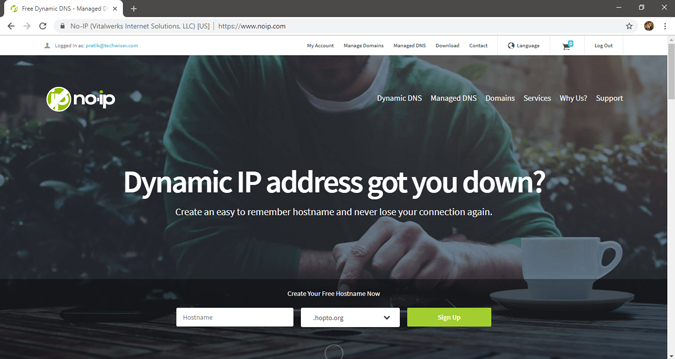 Now there are many dynamic DNS providers out there. Some free, some paid. The best way to find, which service to choose, is by checking which service is supported on your router So follow these steps. 1. 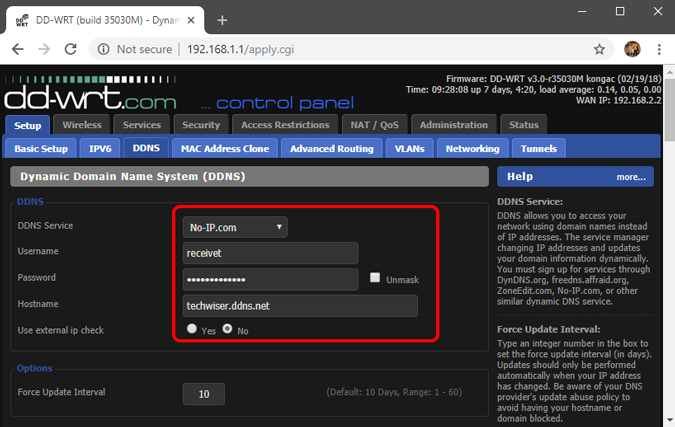 Login to your router and look for an option which says Dynamic DNS. If it’s not there, then you can download IP updater software from any Dynamic DNS provider. And put it on the computer which is used frequently. But, almost every router (even the cheaper ones) have this Dynamic DNS options inbuilt, so you don’t have worry about that. I have a custom ROM called dd-wrt installed on my Netgear router. It supports DDNS and no-IP. Now since the first one is paid only. I will go with the second one, i.e no-IP. And by looking at the interface, I can tell, all I need is a domain name, and username/password. 2. So go to noip.com and create a free account. 3. Next, go to the dashboard, there you’ll find an option to Add hostname. Click on that. A new window will open, write a new sub-domain of your choice and click add. 4. Now, copy your new domain name and paste it your router settings, also enter your username and password that you have used to login to that service. And save changes. 5. Now, to access your home router from a remote location, type in your domain name followed by the remote control port no. 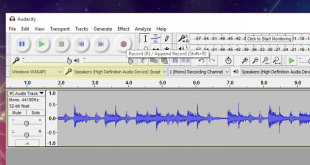 For example — techwiser.ddns.net:8080. If your setup is correct, you’ll see the login screen of your router.